Know the basics of how to ride? Making the leap from dirt to street? If you have at least 1000 miles riding experience on your temporary permit, OR you are returning to motorcycling after an extended absence, the Basic Returning RiderCourse (BRC-RR) may be the perfect course for you. This accelerated license waiver course is NOT suitable for absolute beginners or riders under the age of 18. 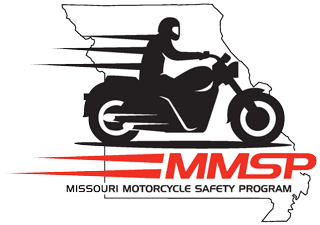 Students who register for the BRC-RR are expected to already possess basic motorcycle control skills. After a brief familiarization with our training motorcycles, riders MUST demonstrate sufficient skill in shifting (1st & 2nd gear), braking and stopping, and also perform a control skills exercise (offset weaves with clutch control) with proficiency to be allowed to continue. Students unable to perform basic control skills will be counseled out of the BRC-RR and advised to register for the Basic Rider Course for an additional fee. This learner-centered course covers risk awareness and preparation, street strategies, and riding impairments in a 3-hour classroom session. Outdoor range exercises are conducted on our training motorcycles (all 250cc or smaller) in a controlled environment, where students receive up to 6 hours of hands-on riding experience and personal, professional coaching. Total instructional time is 9 hours, including a skill evaluation at the end of the course. Students meeting evaluation standards receive a completion card, waiving the on-cycle skill test required by the state for a motorcycle endorsement, which must be obtained from the DMV.